Virtual Reality is one of the most exciting new areas of technology. It allows you to experience a different place and time—whether real or imagined—as if you were there. It’s a phenomenal experience for users, and it gives creators an unmatched amount of freedom to build out their ideas and applications. Plus, as interest in Virtual Reality grows, so too do career opportunities. Having helped start and grow Google’s VR team, I know from direct experience just how much potential there is in this field right now. 2016 is the year in which VR will take off for consumers. Three of the major platforms will have their big debuts on the consumer market: HTC Vive, Oculus Rift and Sony Playstation VR. Google Cardboard’s massive reach continues to increase, and Samsung’s GearVR is already available to millions of smartphone users as well. Deloitte Global is predicting a billion dollar year for VR in 2016, while all top news outlets have started to watch the space closely, like The Washington Post and US News. The New York Times has even appointed its first Virtual Reality editor! For aspirational tech-savvy job seekers, this should look a lot like opportunity. According to a recent WantedAnalytics study, demand for talent with VR skills was already up 37 percent last year. But, what does one do, if one wants to get in on the ground floor of this exciting space? Laying the foundation for a career in Virtual Reality software development begins with learning programming, mastering 3D graphic fundamentals, and gaining fluency with performant, interactive app development. Whether you later specialize on the PC-based VR platforms from Oculus, HTC/Valve, or Playstation, or on Android-based platforms by Google and Samsung, these skills build the basis. New to programming? Consider taking our Intro to Programming Nanodegree program. This introductory program teaches you the skills that every programmer requires, and which you will need if you want to become a Virtual Reality developer. In addition, two courses you’ll want to consider are Programming Languages and Software Debugging. New to 3D graphics? Then enroll for our free course on Interactive 3D Graphics, which teaches you the fundamentals of the graphics pipeline—how 3D geometry works, how to render 3D objects, and more. New to the development of performant, interactive apps? Think about taking the Android Developer Nanodegree program. It will teach you how to design and build front-end applications, optimize performance, and also how to operate in resource-constrained environments. Mainly, this Nanodegree program (built in partnership with Google) gets you intimately familiar with Android, which powers Google Cardboard and the Samsung GearVR. 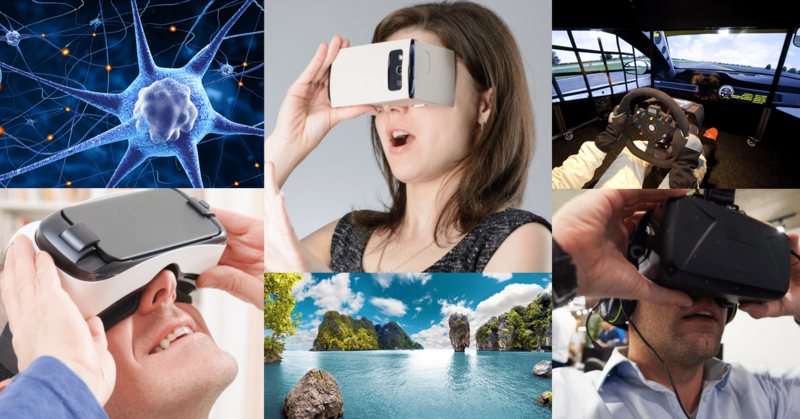 You may also be interested in diving into more specialized topics that have direct relevance for Virtual Reality research and development. For instance, you can take our free course on Computational Photography to understand the capture of 3D scenes and the image formation process, both of which are the fundamental concepts behind VR video and photography. Or, you can take Introduction to Computer Vision to learn the foundations behind Virtual Reality tracking and camera-based user interaction. Virtual Reality is on its way to being a very big thing. If you start preparing now for your future Virtual Reality career, you can be a part of it! Christian Plagemann is VP, Learning Products, at Udacity. Previously, he co-founded the Virtual Reality team at Google, and was the engineering manager responsible for Google Cardboard and the Daydream VR platform. Prior to Google, Christian worked on the autonomous car at the Artificial Intelligence Lab of Stanford University. He co-founded the 3D Vision Lab and Numovis Inc., a tech startup focused on motion tracking and computer vision for user interaction. Christian has a PhD in computer science from the Department of Computer Science of the Albert-Ludwigs-University Freiburg, Germany (Autonomous Intelligent Systems). what are the topics of virtual reality; I am interested but a little be afraid of disappointment of carrires. do they teach you how to jump, run, joggin, touch, climb in virtual reality. is it with ue4 or unity 5?